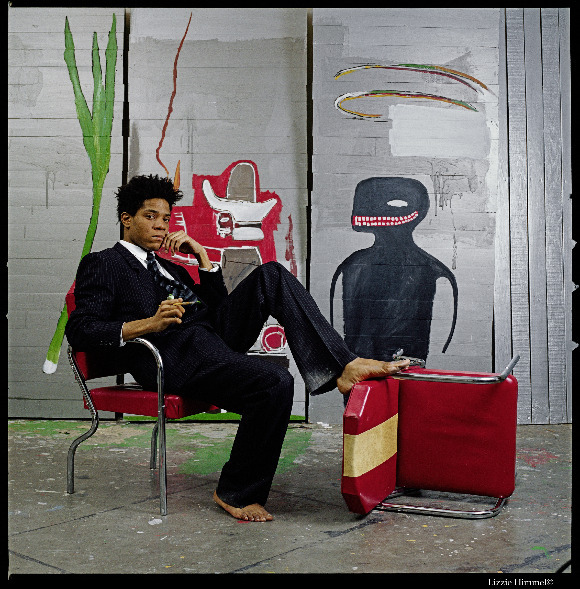 If Jean-Michel Basquiat were alive, he would be 50 years old. Basquiat was born in a Caribbean immigrant family, and he suddenly appeared in the art world from the underground world of New York, just like a sudden explosion of hot air. He was invited to “Documenta,” a contemporary art exhibition, held in Kassel, Germany in 1982, which made his sensational debut. To explain how sensational that was, is just like, for example, a 21-year old unknown artist was invited to a biennale. d’s top artist at a furious speed. Basquiat loved Europe, and since then he traveled to Italy and France quite often. Especially he loved Switzerland and occasionally stayed longer to create many artworks. Bruno Bishofberger, a famous gallerist in Zurich who collected the works of Basquiat, introduced him to Andy Warhol in 1983 and later to Francesco Clemente to suggest collatorations. These collaborative creations ended up to be a ciritical part of the works of Basquiat in his later years. Those who shared activities in the same era are; Fab 5 zfreddy, Vincent Gallo, Keith Haring, Debbie Harry, Madonna and so on. Extremely outstanding gifted talent, symbolizing such an era, also enhanced his charisma further more. Completely ignoring the class system of the white society or any academic rules, and inspired by everyday events, he continued to create works with a passionate power, making us wonder when he had ever slept. A year after the death of Warhol, Basquiat suddenly left this world due a drug overdose. He was only 27. He was a painter, actor, poet, musician, and a graffiti artist. He was active from the latter part of 70s until mid 80s, only 10 years. He contibuted his works to dynamic porjects at The Whitney Museum of American Art and The Museum of Modern Art（MoMA）in New York City, Centre National d’Art et de Culture Georges Pompidou in Pairs and Musée d’Art Moderne de la Ville de Paris, as well as exhibitions of private collections for gallerists or collectors such as Bruno Bishofberger. “BASQIAT,” the first large-scle European exhibition is being held at Bayeler Foundation Museum, which consists of more than 150 pieces of paintings, drawings, objects and films. The glass ceiling by Renzo Piano receives and accepts the summer sunshine, and brings into the venue just like filtered soft light. Whenever the clouds in the sky move, the light changes, and so do the beat and heat emitted from huge artworks. Comments written for the catalogue by Keller, Director of the Museum, and the curator, Dieter Buchhart, are quuite brilliant and impressive. 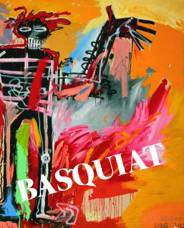 This collection book is also full of respect for Basquiat, same as the exhibition.